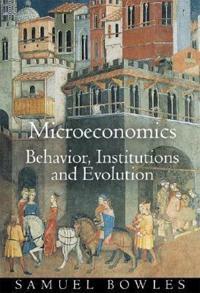 In this novel introduction to modern microeconomic theory, Samuel Bowles returns to the classical economists' interest in the wealth and poverty of nations and people, the workings of the institutions of capitalist economies, and the coevolution of individual preferences and the structures of markets, firms, and other institutions. Using recent advances in evolutionary game theory, contract theory, behavioral experiments, and the modeling of dynamic processes, he develops a theory of how economic institutions shape individual behavior, and how institutions evolve due to individual actions, technological change, and chance events. Topics addressed include institutional innovation, social preferences, nonmarket social interactions, social capital, equilibrium unemployment, credit constraints, economic power, generalized increasing returns, disequilibrium outcomes, and path dependency. Each chapter is introduced by empirical puzzles or historical episodes illuminated by the modeling that follows, and the book closes with sets of problems to be solved by readers seeking to improve their mathematical modeling skills.Complementing standard mathematical analysis are agent-based computer simulations of complex evolving systems that are available online so that readers can experiment with the models. Bowles concludes with the time-honored challenge of "getting the rules right," providing an evaluation of markets, states, and communities as contrasting and yet sometimes synergistic structures of governance. Must reading for students and scholars not only in economics but across the behavioral sciences, this engagingly written and compelling exposition of the new microeconomics moves the field beyond the conventional models of prices and markets toward a more accurate and policy-relevant portrayal of human social behavior.